Admit it, keeping your house clean and tidy is not an easy thing to do. Luckily today there are companies like Ecofort, who use the advantages of technological progress to turn this arduous routine work into pleasant daily experience. But you know what else is not an easy thing to do? Creating a good-looking and well-functioning website that meets all the unwritten rules and requirements of the ecommerce world. BelVG took the responsibility for the company’s representation online. 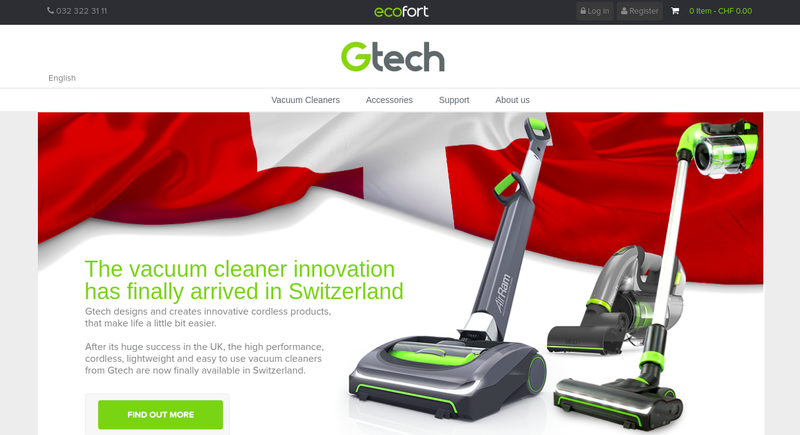 Ecofort AG is a company from Nidau, Switzerland, which provides efficient and reliable solutions for housekeeping. The Ecofort’s mission is to help people maintain and improve their standard of living by simplifying the daily household chores. The company has a wide range of household appliances to offer (heaters, radiators, humidifiers, air cleaners, clothes dryers, etc.). 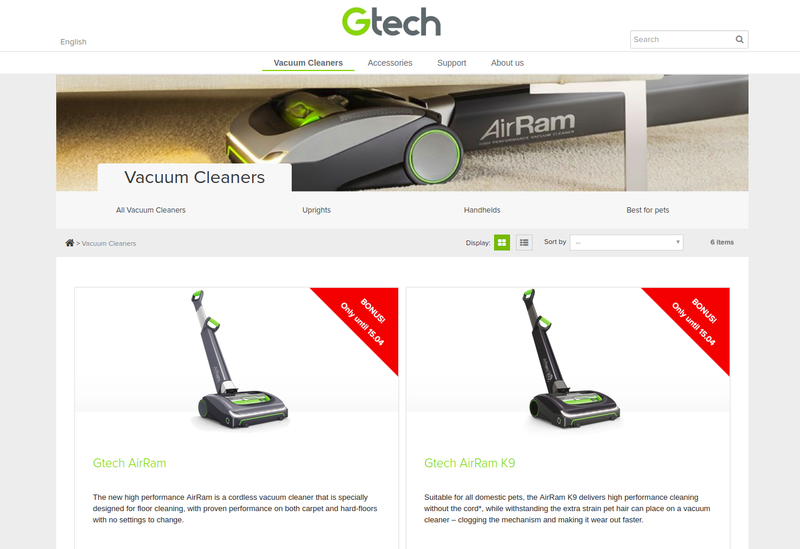 However, their core and most innovative product has always been a hand-held vacuum cleaner. Keeping that in mind, they have decided to create a separate subdomain of their website dedicated entirely to this product and its accessories. The new subdomain was supposed to look like a Magento-based site of Ecofort’s partners. However, the company’s main site was created and configured with the help of Prestashop shopping cart platform. The challenge was to make a Prestashop-based subdomain look exactly like partner’s Magento site. At that point the Magento website became a reference element, so to say, a ground we based our work upon. Comparing Prestashop and Magento is quite a challenging task, mainly because the two systems are totally different in terms of page structure, customization and, obviously, basic logic. Our mission was not only to create a Magento-resembling Prestashop website, but also to make sure its key features function properly, regardless of the possible differences between the two platforms. If you don’t know which platform to choose, contact us and we will help you make up your mind. Each of them had its own peculiarities we had to deal with along the way. On the catalog page, for example, our task was to make the image change upon hovering, which is not a default feature in Prestashop and had to be created from scratch by our team. The product page on Ecofort deserves special attention since it is anything but ordinary. 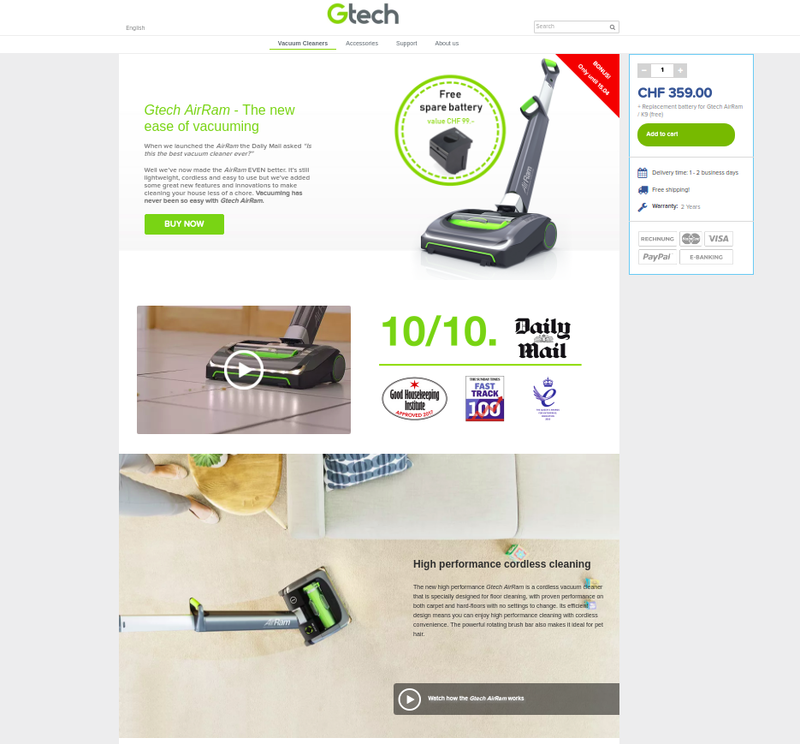 On top of the page we put a large product image with a “Buy Now” button, which scrolls to the bottom of the page upon clicking to add the product to the cart. Then comes a video about the product to make the page more vivid. There is also a list of key features of the product, its picture gallery and customer reviews. All these features altogether make the page look ergonomic and super informative. With the stratospheric rise in the use of mobile devices, you’d be doing yourself a huge disservice if your webstore is not designed to respond and adjust to mobile and other devices. 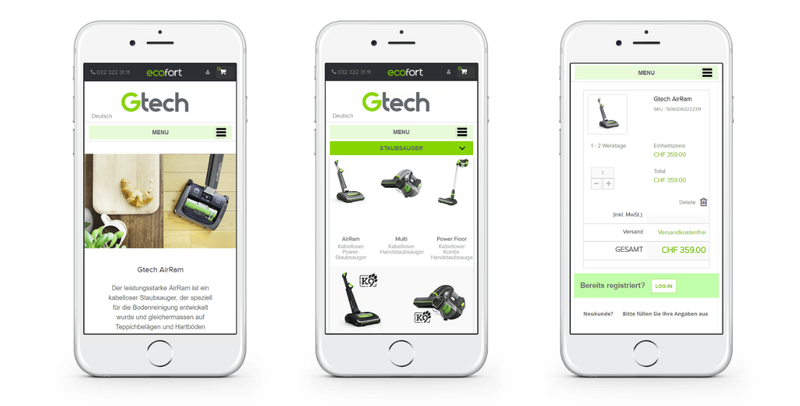 During the development of Ecofort webstore, special attention was paid to the mobile and tablet versions of the website to make them look good on whatever device a customer uses. What do we have as a result of our collaboration with Ecofort? I guess the answer is obvious — a benchmark of quality in the sphere of ecommerce. The store is informative, functional and is simply nice to look at. We are grateful to our partners from Ecofort for amazing experience and productive mutual work. A picture’s worth a thousand words. Don’t forget to visit Ecofort webstore and experience the cutting edge of ecommerce web development. You can also take a look at our previous projects here.